Each semester at New York University, Theater at Galatin organizes a performance in the Jerry H. Labowitz Theatre. In February of 2015, Joosje was part of the cast of Gallatin's Mainstage Production Amphitryon, directed by Matthew A.J. Gregory, which was performed ten times. In Molière's masked comedy Amphitryon, Joosje portrayed the role of the god Jupiter. 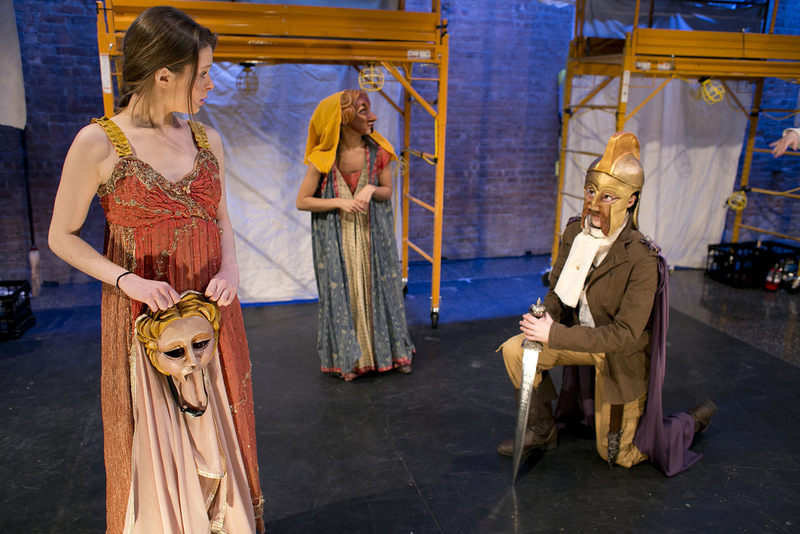 The play is about the battle between warrior Amphitryon and Jupiter, who fight for Alcmene's love. When Amphitryon leaves his wide Alcmene to go into battle, Jupiter sees his chance to seduce Alcmene. Disguised as Amphitryon, he tries to win her love, but when the real Amphitryon returns from the war, everyone involved is utterly confused.